Residents of the poorest and most illiterate country in the Western Hemisphere struggle to provide their children with the basics: clean water, safe shelter, education, food and healthcare. The statistics are grim. 54% of the population lives on less than one US dollar per day. 40% of the population is unemployed or underemployed. 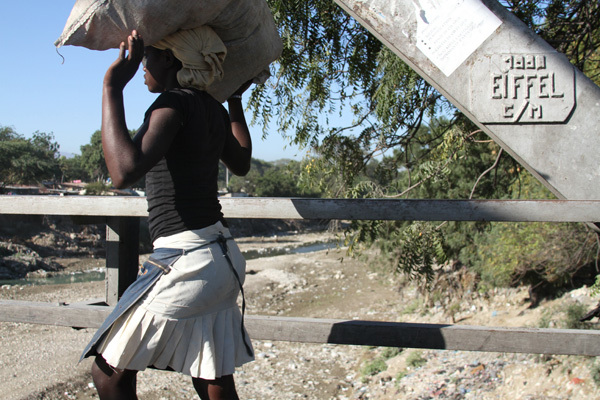 Access to electricity in Haiti is estimated at 38%. Almost half of the people lack access to clean water and only one in five have access to a sanitary toilet. Four out of ten children live in huts with mud floors. Haitians have the lowest caloric intake in the Americas, which has led to chronic and often fatal diseases. An estimated 25-40% of children under age five suffer chronic malnutrition. For many parents, placing their children in an orphanage may be the only choice they have for their children’s survival. At RENMEN Foundation, the children are provided with a safe, home environment where they can thrive and flourish to their fullest capacity.